The Las Vegas outpost of one of the world’s most recognizable comedy club franchises, The Improv, has closed at Harrah’s Las Vegas. The Improv had its final show on May 29, 2016, with zero fanfare. We were there for The Improv’s 15th anniversary in 2010. Budd Friedman, founder of The Improv, was on hand to celebrate the occasion. Budd Friedman launched the careers of some of the biggest names in stand-up comedy. He also won a Purple Heart during the Korean War. No, really. No official announcement about the fate of the The Improv has been made, but our call to Harrah’s confirmed the venue’s closure. There had been rumblings of waning ticket sales at The Improv, and marketing for the venue dwindled to virtually nothing in recent months. The Improv has had a very respectable run in Las Vegas. The club opened April 18, 1995. The Improv brand first came to Las Vegas at the now-closed Riviera. 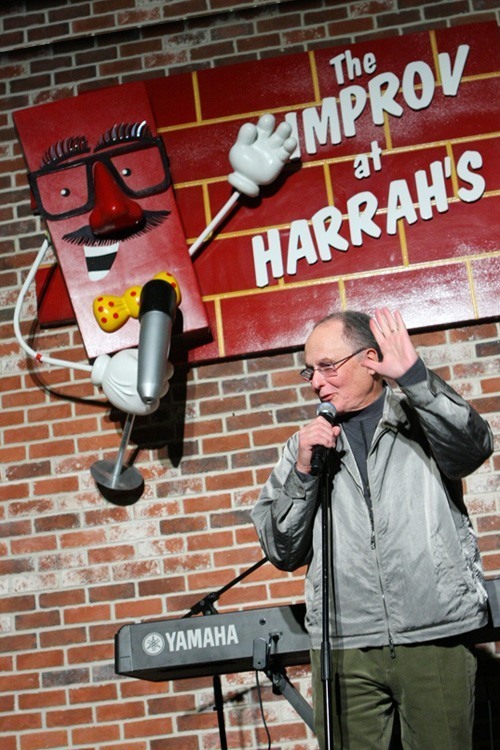 Many of the biggest names in comedy have performed at The Improv at Harrah’s Las Vegas. 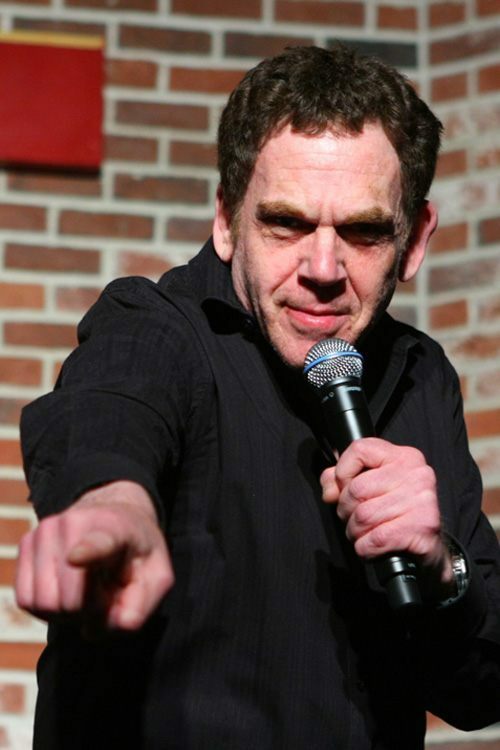 Comedian Charles Fleischer (the voice of Roger Rabbit, among other things) onstage at The Improv Las Vegas. Kudos to our pal Johnny Kats for being the first to float the story The Improv Las Vegas would shutter at Harrah’s. The saddest part of the timing of The Improv’s closing is that it just turned 21 in April, so it barely had time to take full advantage of being in Las Vegas. This entry was posted in Las Vegas, Las Vegas Shows on May 31, 2016 by Scott Roeben. 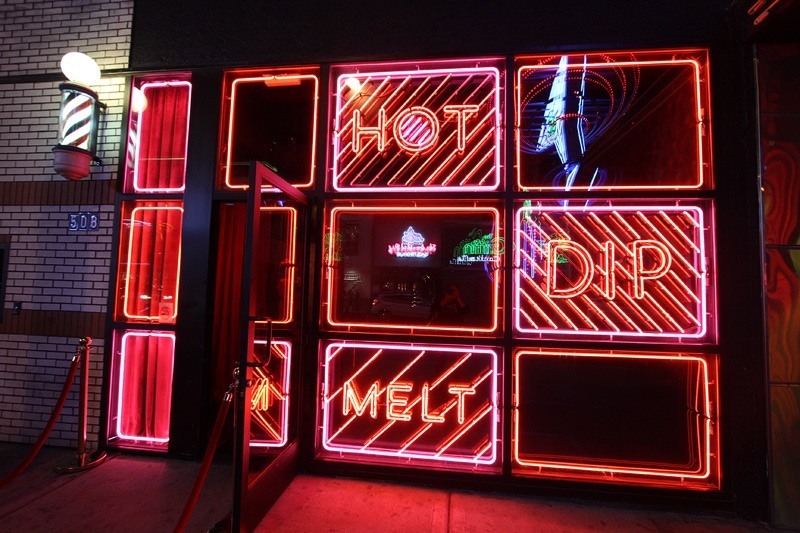 The quirky fondue restaurant with a name impossibly difficult to remember, F. Pigalle, has closed suddenly on Fremont East in downtown Las Vegas. The restaurant lasted just five months. It opened in December 2015. 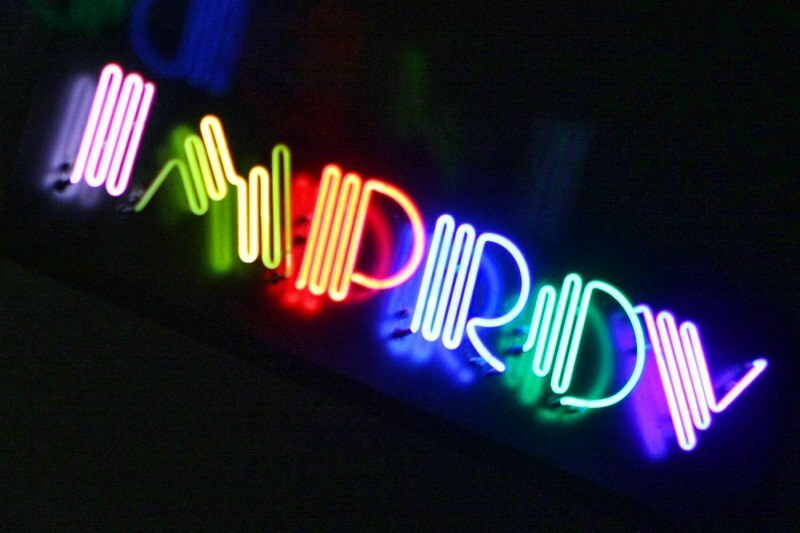 Dibs on the neon. Too soon? This came as a shock to most, as the restaurant is often packed with customers. Apparently, not often enough. F. Pigalle (the “F” stands for fondue, the “Pigalle” refers to a red light district in Paris) is not expected to re-open. Read more. No official reason for the closure has been given, but the Las Vegas Rule applies here: Financially successful establishments don’t close in Sin City. A recent post on the F. Pigalle Facebook page sheds little light on why the restaurant closed, but it does provide hope a new bar is in the works for the space. 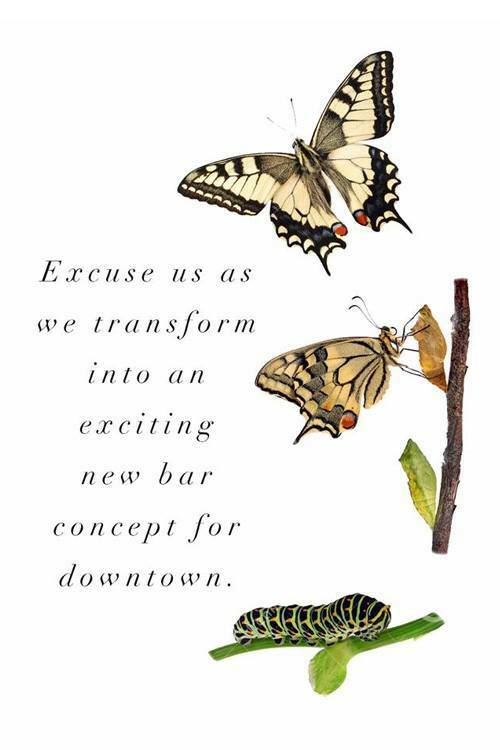 There’s simply no better way to get through mourning the loss of a restaurant than news of a new bar. 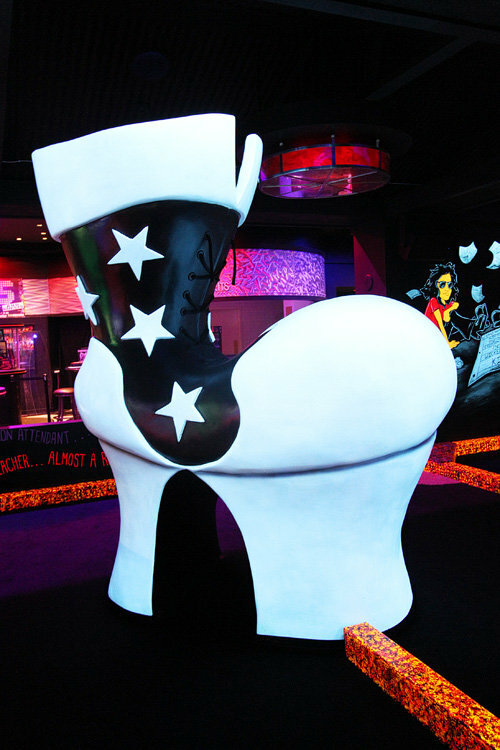 This location on Fremont East has had a rocky past. The prior restaurant, Radio City Pizzeria, also closed with relatively little warning. While it wasn’t widely reported, unspecified “illegal activity” apparently hastened the closure of the venue. We quite enjoyed F. Pigalle. The value was undeniable, with bottomless wine included with every meal. Here’s more about the shuttered F. Pigalle. And the F. Pigalle signature cocktails were something to behold. We’ll miss the hell out whatever this was. 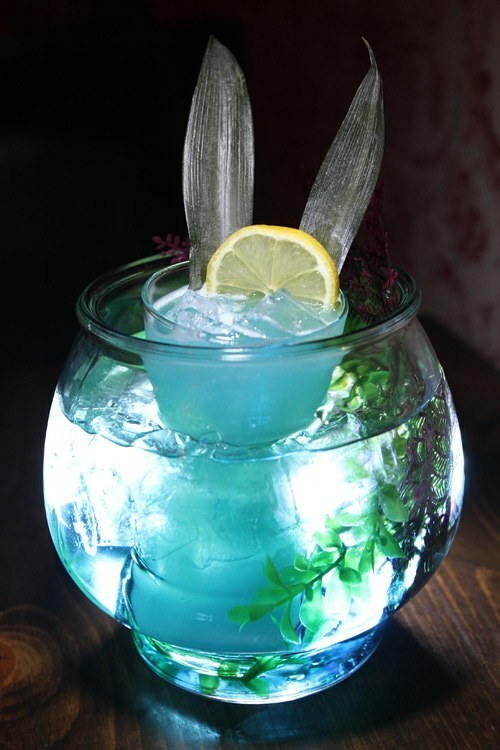 Let’s lift a glass, or possibly an aquarium, to whatever’s next. And in Las Vegas, there’s never not something next. This entry was posted in Las Vegas, Las Vegas Bars, Las Vegas Restaurants on May 30, 2016 by Scott Roeben. Historically, being located in this part of the Rio is the Kiss of death. 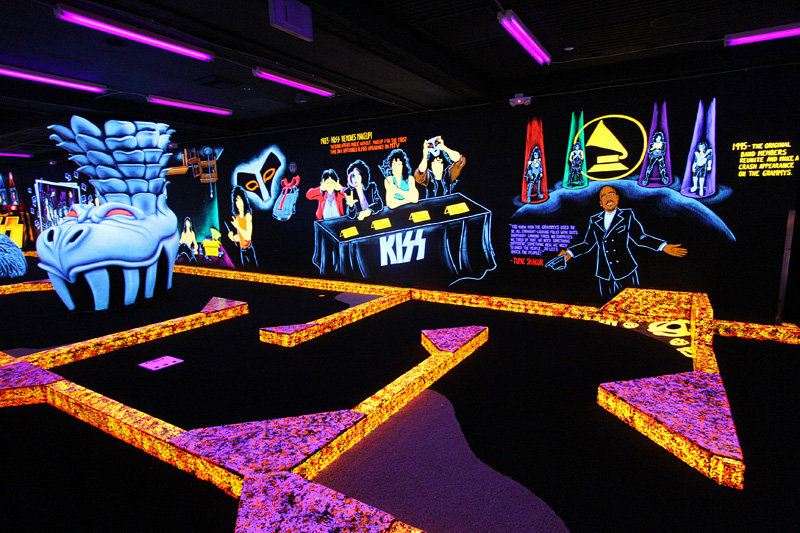 Let’s hope Kiss Mini Golf can defy the odds. 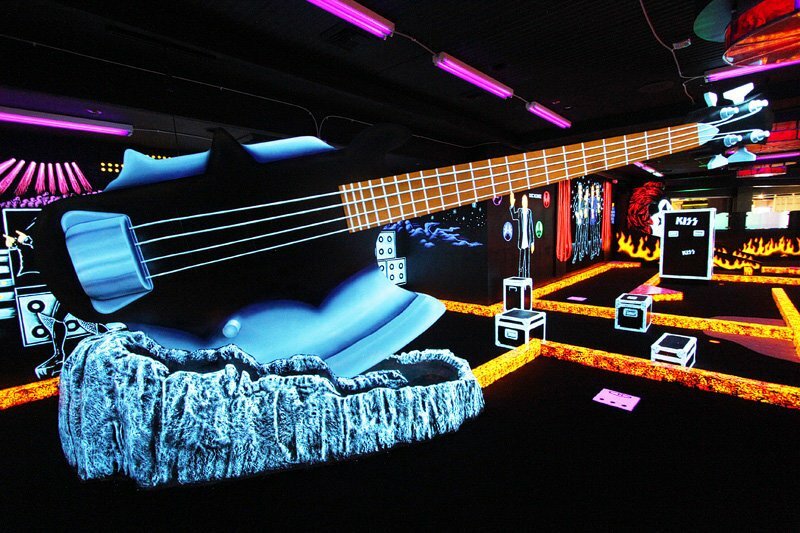 elements, including glow-in-the-dark guitars and artwork. 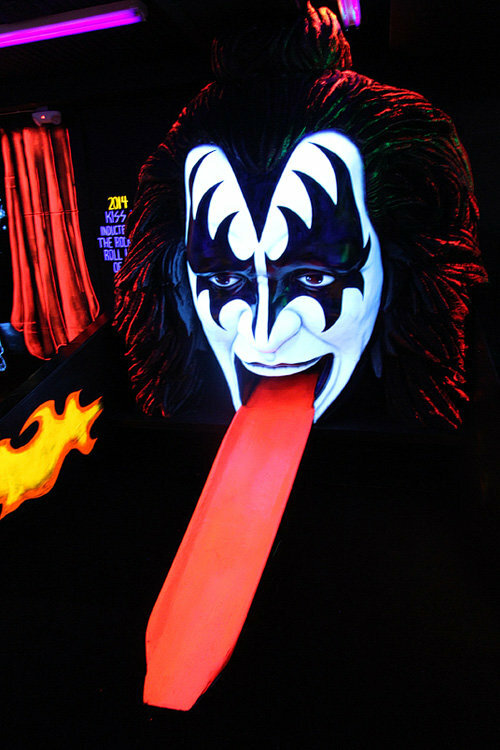 At one time, Gene Simmons’ tongue was insured for $1 million. turned into a display case. From gelato to guitar picks. Anything can happen in Vegas. 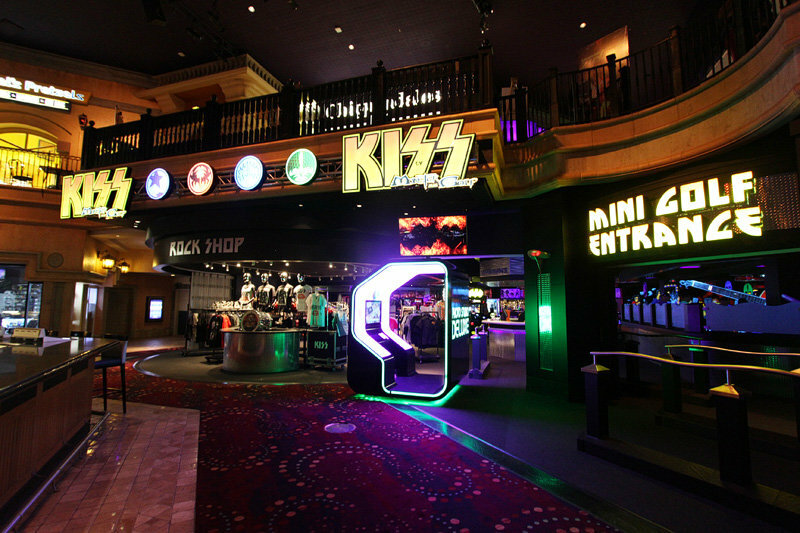 Perhaps not surprisingly, Kiss music plays throughout the menu non-stop. 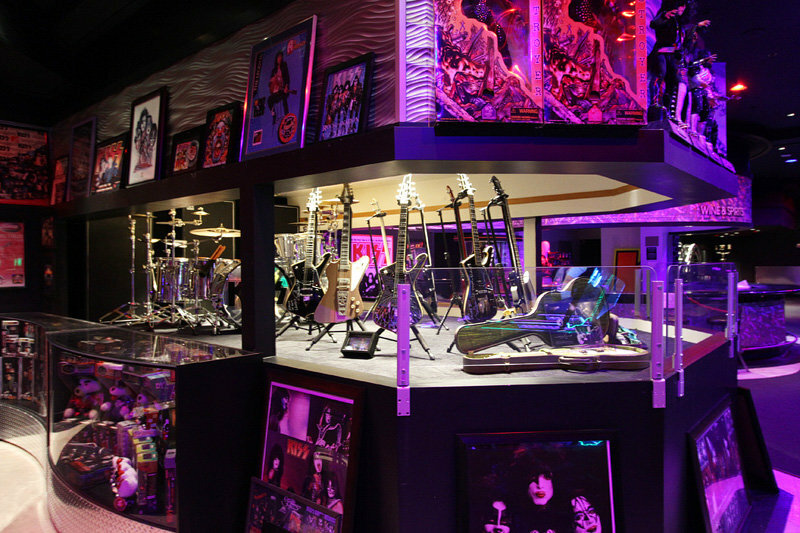 course) hundreds of pieces of Kiss memorabilia and a sprawling gift shop. What happens on the tour bus stays on the tour bus. There’s also a “Love It Loud” wedding chapel and a DJ booth. We love this photo so much, we predict Rio will share it without our permission or appropriate attribution at some point in the future. Just a hunch. 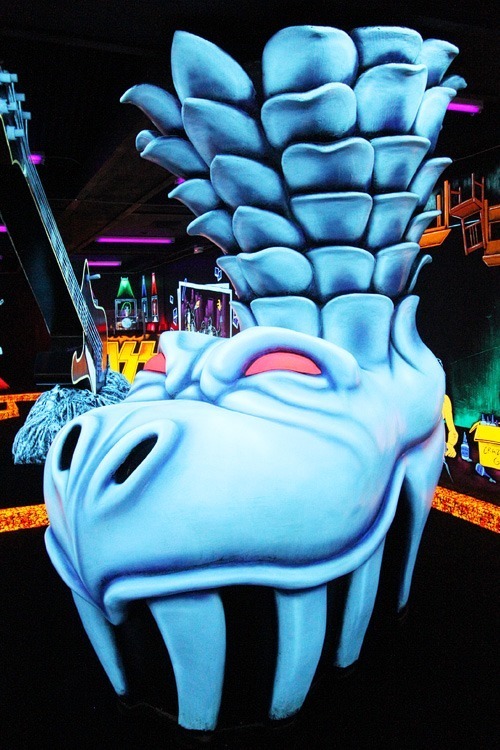 The family-friendly Kiss Mini Golf at Rio Las Vegas is open 10:00 a.m. to midnight, seven days a week. 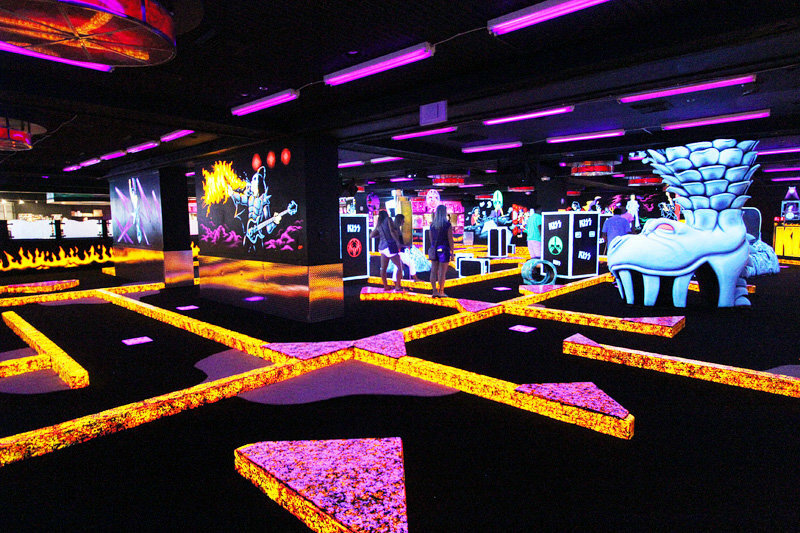 There’s no fee to check the place out, the cost to play 18 holes is $11.95. 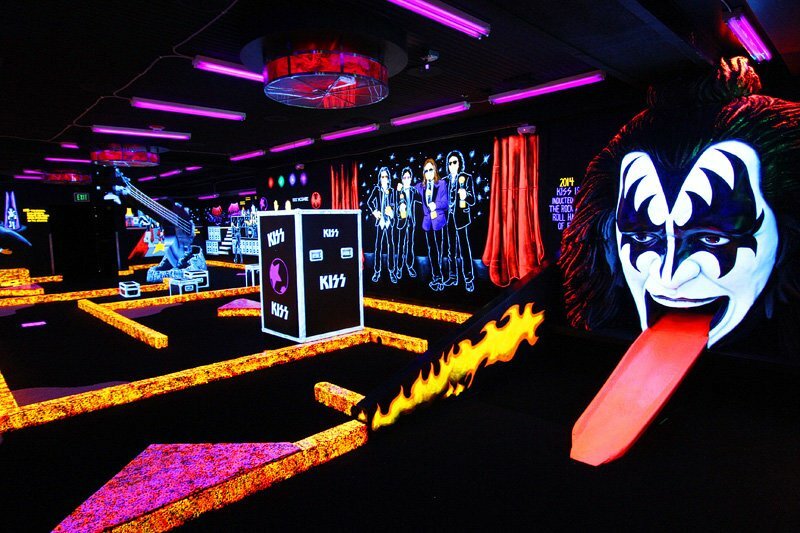 Find out more at the official Kiss Mini Golf Web site. 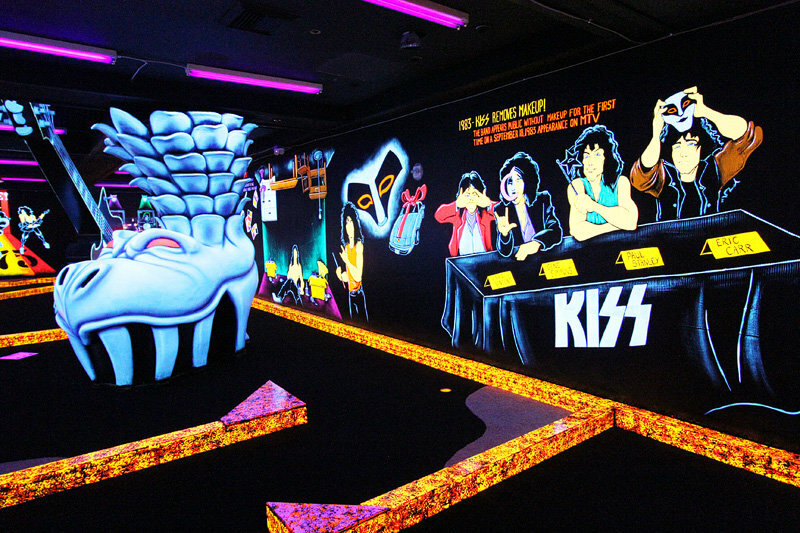 Enjoy more photos from the new Kiss Mini Golf at Rio Las Vegas. 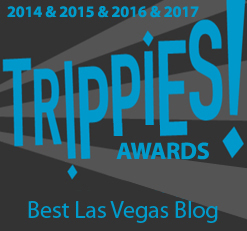 This entry was posted in Las Vegas, Things to Do in Las Vegas on May 30, 2016 by Scott Roeben. In this, the final episode of our first season, the Vital Vegas Podcast is devoted to an impressive new Las Vegas venue, Topgolf Las Vegas at MGM Grand. At first glance, Topgolf is a four-story driving range, but it’s actually much more. Topgolf Las Vegas has five bars. Five. 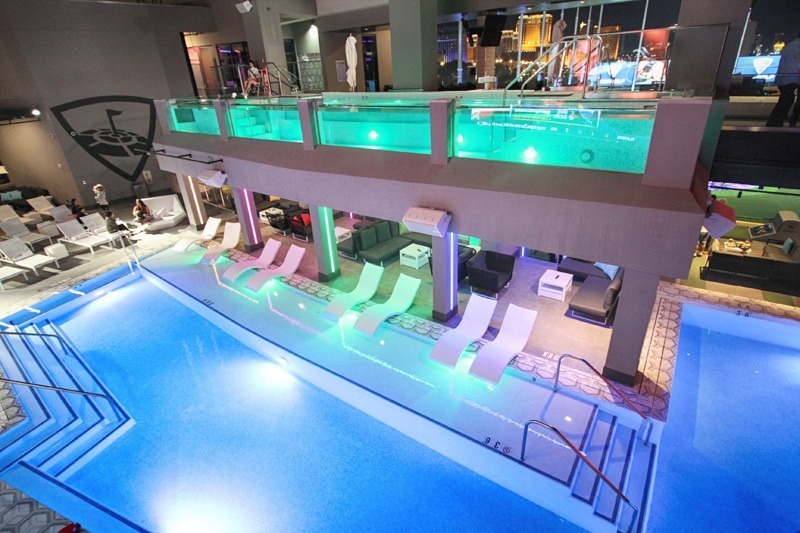 And wonderful food, two pools, live entertainment spaces and more. Topgolf has a lot to love, and we don’t even like golf. 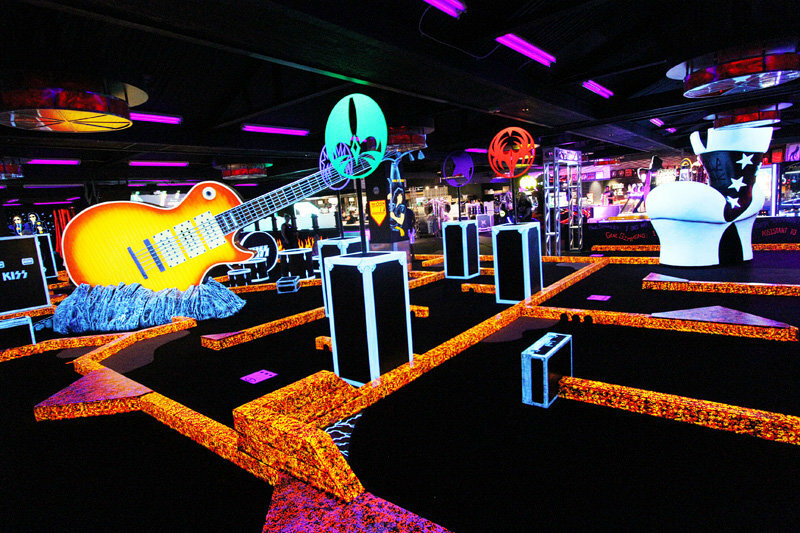 In this episode of the podcast, we tour the facility with the knowledgeable and very patient Dennis LaFontaine, Topgolf’s Director of Marketing. We stroll Topgolf in its entirety, exploring the various lounge and bar spaces, digging into what makes this new offering just off The Strip so appealing. 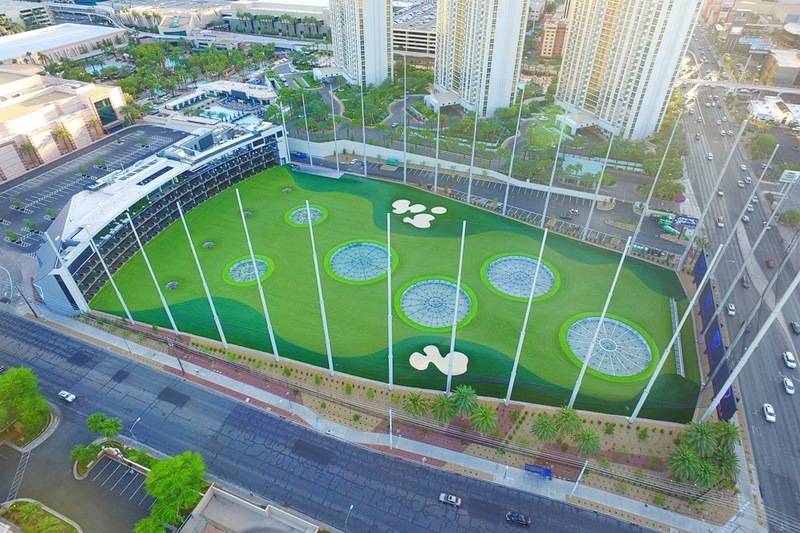 Here’s a look at Sin City’s newest must-do, Topgolf Las Vegas. 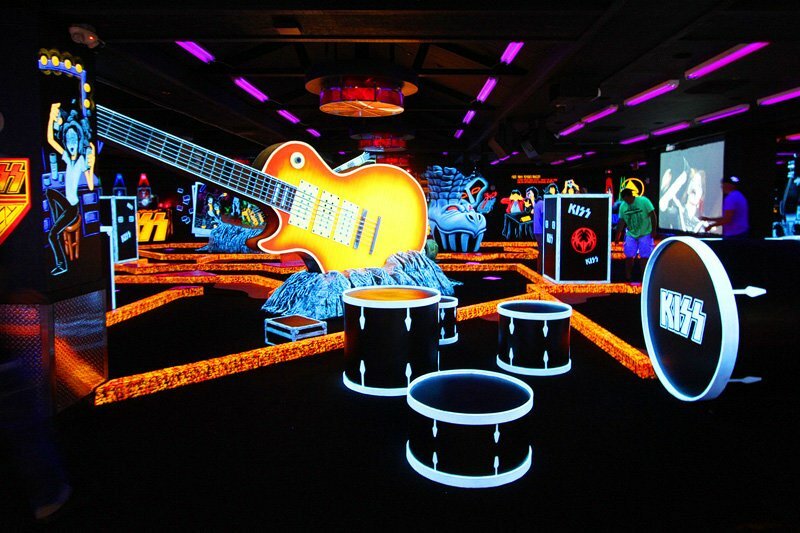 Also, we show off by sharing a recent interview with this blog on KNPR about a recently-announced music facility from Las Vegas Sands Corp. and Madison Square Garden Co. You knew we had to get it back to being about us, somehow. Enjoy our 16th episode, and we’ll be doing a full-blown story about Topgolf Las Vegas soon. 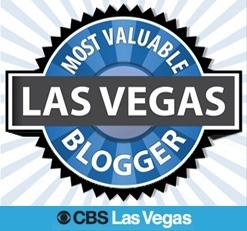 This entry was posted in Las Vegas, Things to Do in Las Vegas, Vital Vegas Podcast on May 30, 2016 by Scott Roeben. 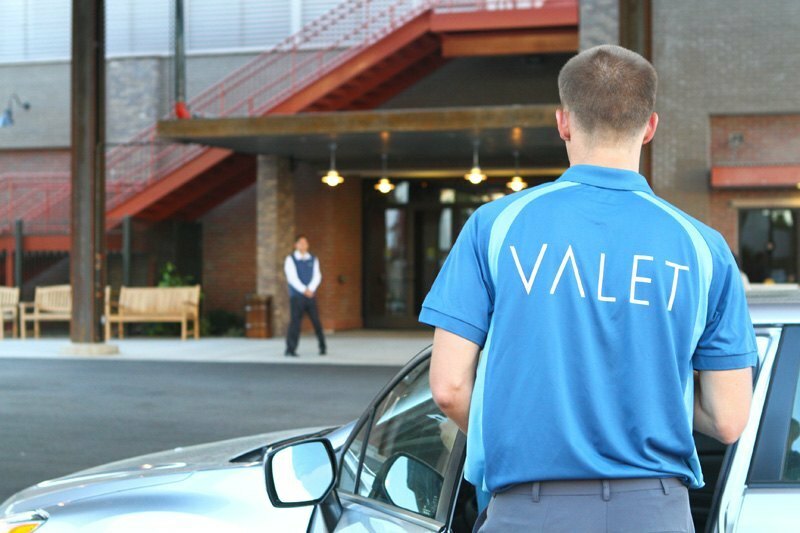 Chances are if you valet park in Las Vegas, you’ve been doing it wrong. We’re here to help. Traditionally, folks tip valets when their car is delivered. Which is awesome. But here’s the thing: Tipping when your car is brought to you does nobody any good. Your transaction is already complete. In Las Vegas, the key is to make the most of your money, so it’s a good idea to tip more strategically. Time is money. Use our tip, get more time. Don’t wait for your car to be delivered to tip. Tip when you give your ticket to the valet attendant. Five bucks usually does the trick. Why? Because at this point in the transaction, the valet attendant can help you leapfrog the line. That’s how juice works in Sin City. Scratch their back, they’ll scratch yours. Of course, true high rollers tip even earlier in the process. They tip a larger amount when the car is dropped off. A $20 bill usually means your car will be parked close to the pick-up area, and you’ll be treated as a VIP when it’s time for your car to be retrieved. In any of these scenarios, you still have the option to tip a couple of bucks when your car is brought around, of course, but timing is everything. Now you know. Tip early. Tip often. Gratuities are the grease that keeps the wheels turning in Sin City. You just have to know when to provide the appropriate lubrication. If you get our drift. This entry was posted in Las Vegas on May 29, 2016 by Scott Roeben. 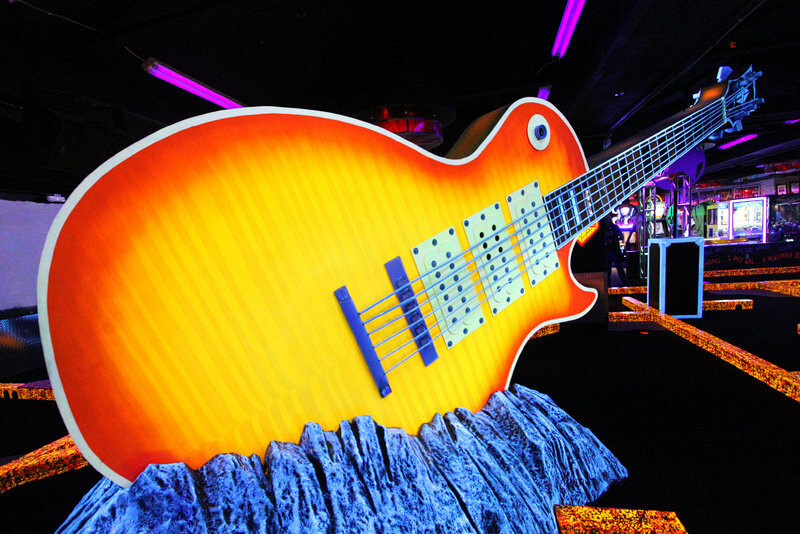 A bigtime Las Vegas casino company has drawn a line in the (wait for it) sand with the announcement of a new live music venue just off the Las Vegas Strip. The yet-to-be-named venue will be located on Sands Ave. between Manhattan Street and Koval Lane. Yeah, we didn’t know where that was, either, so we took to the skies to figure it out. 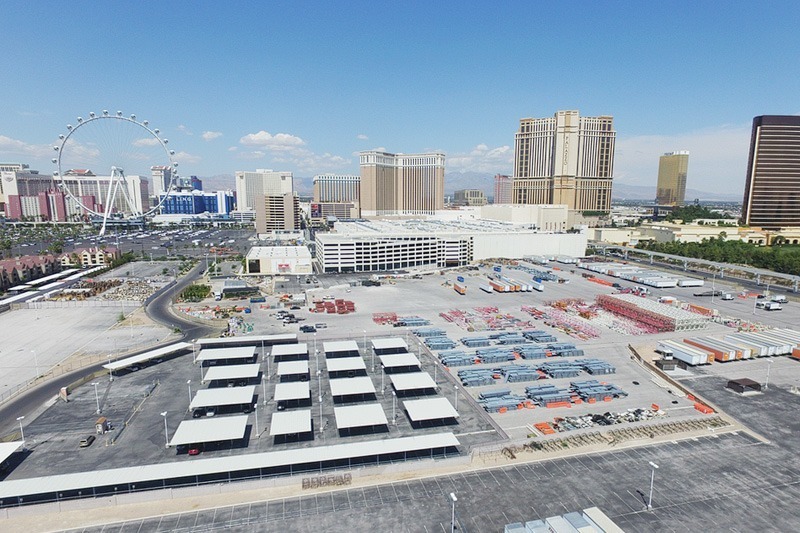 Las Vegas Sands Corp. is going to need a storage unit to put all this stuff in. The official news release about the venue contains some interesting elements. We’re going to go out on a limb and say that’s not the case, but we love surprises. the word “erected” so much. Interestingly, the Madison Square Garden Company will own the venue, not Las Vegas Sands. The land is owned by Las Vegas Sands Corp., but Madison Square Garden Company will hold a 50-year lease agreement. Vegas with being over-served, if you get our drift. Well, we’ll know soon enough. The project is expected to take two years to complete. New things are fun. Especially when we’re not being asked to pay for them. Financial details of the project haven’t been made public, but Las Vegas Sands Corp. is expected to provide Madison Square Garden Company with $75 million to help fund construction costs, including the cost of the pedestrian bridge. re-define what it is to re-define the entertainment experience? Take a listen to our incoherent ramblings about this very subject on KNPR, an actual radio station. 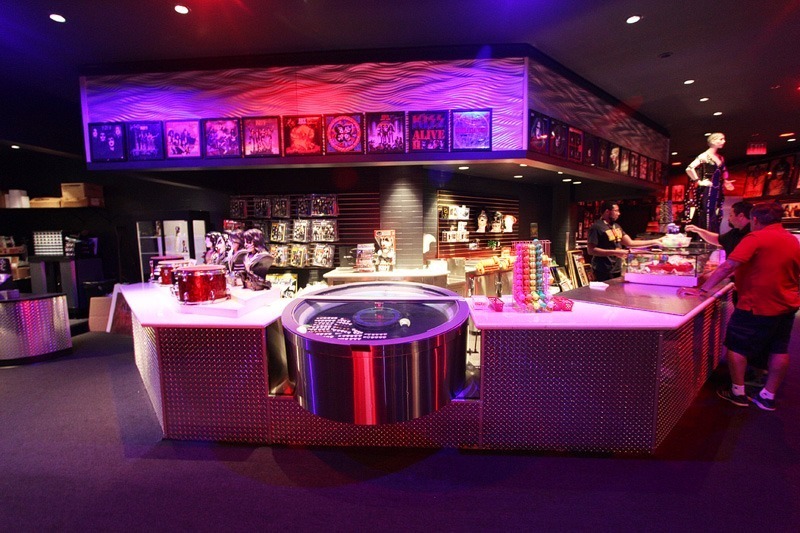 Got questions about this music venue project? We’ve got answers! Question: Is this project going to happen? Answer: Sure! The key is the fact the project is privately funded. Las Vegas Sands is contributing $75 million to the project, but Madison Square Garden Co. will ultimately own and operate it. 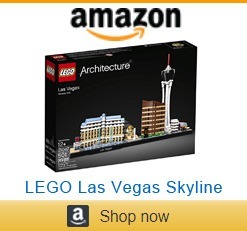 Question: Can Las Vegas support another big arena? Answer: Probably! Opinions differ about that point, though. Nobody has been clamoring about a new venue of that size, but developers believe Las Vegas is “under-served” when it comes to large events.They say Las Vegas hosted 48 concerts in buildings with a capacity of more than 9,000 in 2015. During that same year, more than 180 comparable music and other entertainment events took place in L.A. Is that a fair comparison? Who knows, but they’re moving ahead, anyway. Project developers are saying a lot of interesting things, including, “There has not been an incentive for major, premium-quality acts to come to Las Vegas on a number of levels.” Not sure that’s true, but we appreciate their verve. Question: Who wins with this project? Answer: First, the artists! When the biggest venues were all owned by MGM Resorts, there wasn’t a lot of competition for big acts. Now, the prices paid for big-name acts is going to spike. 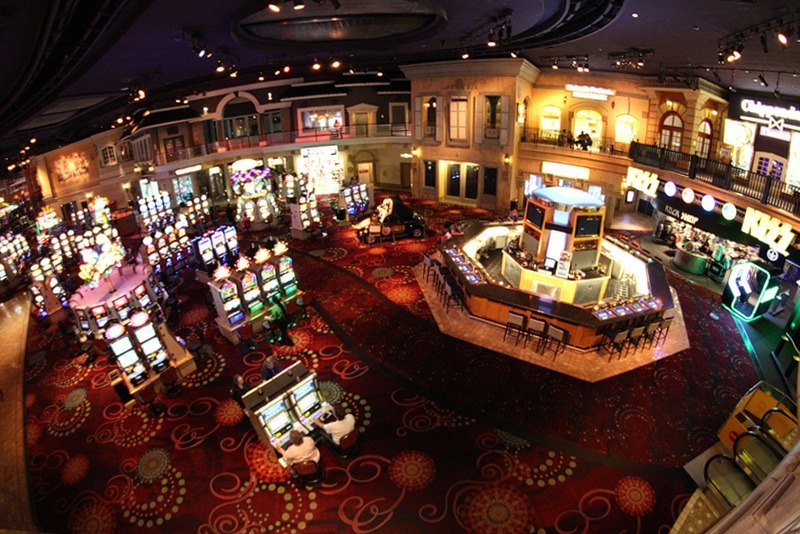 Las Vegas Sands will also be a big winner. They have minimal risk, but will have a shiny new amenity to offer guests of Venetian and Palazzo. Those hotels will also get first dibs on tickets to include in hotel packages. 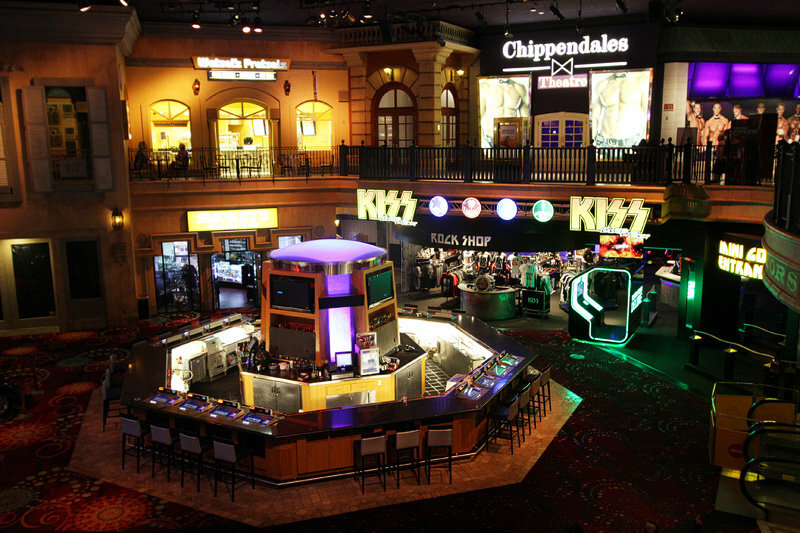 This new offering will keep guests in the neighborhood, rather than visitors seeking out entertainment, lodging and gambling elsewhere. 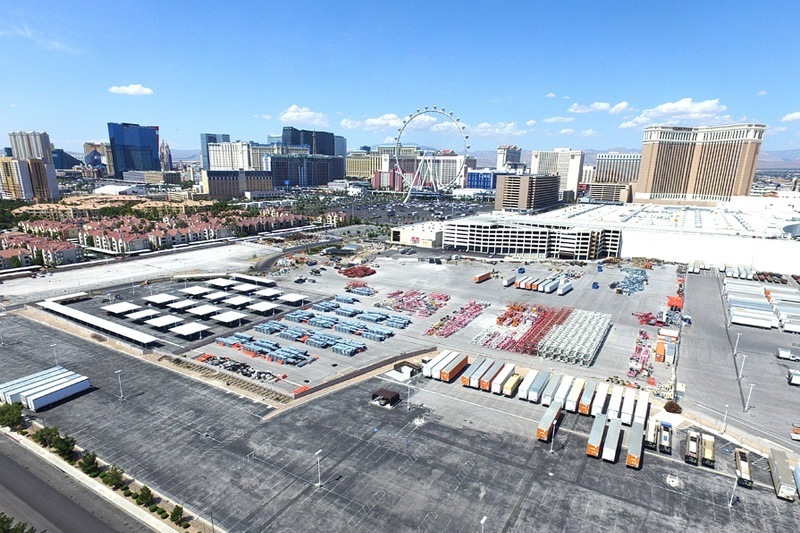 The new Las Vegas Sands and Madison Square Garden venue is still a couple of years away, but its impact is already being felt in Las Vegas concert circles. There’s more fun to come! 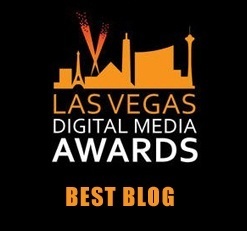 This entry was posted in Las Vegas, Things to Do in Las Vegas on May 26, 2016 by Scott Roeben.